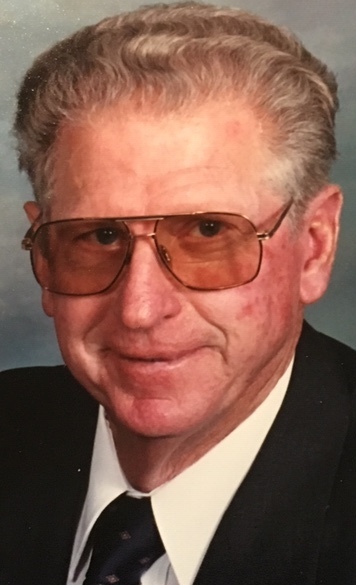 Ronald E. Worthington, age 86, of Conover, OH passed away at 9:35 p.m. on Thursday, December 6, 2018. Born on May 7, 1932 in Miami County, Ron was a son of the late Hugh F. and Grace (Caven) Worthington. He married Shirley Arlene Ross on December 3, 1950 and she preceded him in death on August 20, 2003. Ron is survived by two children: Gary (Jane) Worthington of Troy, OH and Rhonda Beckman of Sebring, FL. He enjoyed spending time with his grandchildren: Liza (Theresa) Worthington of Westerville, OH, Vanessa (Justin) Sandberg of Conover, OH, Levi (Justine) Worthington of Jacksonville, FL; great grandchildren: Ethan, Beau, Eris, and Ira and three step grandchildren. Ron is also survived by two brothers, James (Maxine) Worthington of Bowling Green, KY, Allen Worthington of Fletcher, OH, a sister, Janet (Jack) Leonard of Conover, OH, sisters-in-law Pat (Alan) Swank of Troy, OH and Clara Nelson of Trussville, AL and many nieces and nephews. In addition to his parents and wife he was preceded in death by a son-in-law, James Beckman, a brother, Norman Worthington, sisters-in-law, Janet Sue Worthington, Janet Lee Worthington and brother-in-law Charles Nelson.